Looking for a reliable locksmith that offers master key system repair or installation? 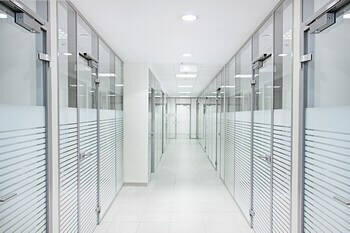 Thinking about upgrading your office’s or business’ security system? 713 Locksmith Houston is an established locksmith company in Houston, TX. We are licensed, bonded, and insured, and we offer up front pricing. Our commercial locksmith service is outstanding, and we have numerous customers who are completely satisfied with the service that they have received from our 24x7 locksmith service. The use of a master key lock is essential for a company or business to be able to have access to all areas of the property with one key. Businesses such as hotels, apartment buildings, hospitals, and jails benefit greatly from using this type of lock system. Total access will enable the property manager and eligible employees and workers to have access to multiple areas. With dozens of units or doors to keep track of, carrying one single key is definitely the solution. At 713 Locksmith Houston, we are dedicated to maintaining the highest level of professionalism as well as quality service to our customers. Our technicians are all fully trained and each of our locksmith experts has 5+ years’ experience in the industry. We provide top-of-the-line safety and security products using the most advanced tools. Managing a business or property takes a lot of organization and planning. From maintenance to paperwork, managers and owners need the ability to access various areas of their business. We can handle any commercial locksmithing issue that you may experience. Carrying a bunch of keys for several units can be a very aggravating and time consuming issue. A master key allows you to only carry one key around with you, which enables you to get into all those areas with the same key. Our trustworthy and certified locksmith experts can resolve these issues right away and efficiently. We provide a speedy response time for master key systems and a wide range of locksmith solutions. As mobile locksmiths, our 24x7 locksmith service vans come fully-stocked with advanced tools and equipment that enable our fast and friendly technicians to provide you with efficient and complete locksmith service. If you need to install and repair your master key system, give us call. With today’s unique master key systems, it’s virtually impossible for anybody to duplicate your keys without your consent while at the same time providing your business with protection from drilling or picking, as the high security systems we provide are extremely pick and drill resistant. We will work closely with you, paying attention to every detail, so we can meet your requirements. Professional training combined with the use of state-of-the-art equipment and tools ensures that our locksmith technicians work quickly and effectively. You can rely on our complete locksmith service for all your master key lock system needs. We provide exceptional service that you will be happy with. When you choose us, you’re choosing a reputable company with fast and friendly professionals. We are available 24 hours a day, 7 days a week, providing our customers with the most efficient, honest, and complete locksmith service at the most reasonable prices. Here, your satisfaction is our top priority. Over the years we’ve been providing services, we have learned the importance of ensuring complete customer satisfaction. Therefore, our dedicated locksmith technicians will ensure that you receive a quality and affordable service, in order to achieve our mission – customer satisfaction. 713 Locksmith Houston is a reliable and fast locksmith company providing top quality commercial locksmith services for the entire Houston, TX and surrounding areas. 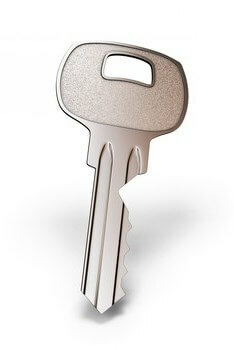 Our fast and friendly expert technicians can install and repair your business’ master key system. Our professionals have 5+ years experience of field experience and will provide you with all your master key system necessities. Our friendly service representatives are always ready and willing to assist you, so give us a call to get the quality service that you need. And remember, we are fully licensed, bonded, and insured, offer up front pricing, and a speedy response. Call us anytime, day or night, and we’ll be there. Master Key System Installation and Repair http://713locksmith.com/master-key-system/ 3.9/5 based upon 22 reviews.